Several ideas were put forward at the discussion group meeting recently held. A small group of members met to formulate a plan of how our exhibit would look to go with the the theme of this year's show - Food & Farming. We have a corner plot in the garden and flower marquee as in previous years. An outline of the plan is that we are going to use a pair of old cart wheels, a milk churn, an old gate and scarecrow. 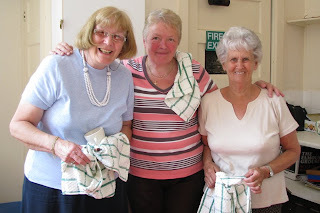 These items have kindly been donated to be used by members. We are still in need of plants in pots, a couple of straw or hay bails and flowers and foliage. The next discussion meeting will take place on 9th July. 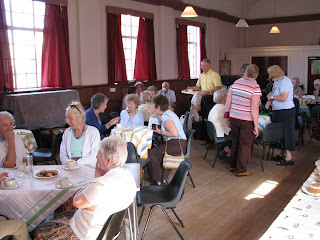 A good crowd of members and visitors made the coffee morning and plant sale a successful one for the Club. A variety of plants were on sale and a brisk trade ensued with bargains to be made. The bric-a-brac table also had a variety of items for sale. Fuchsias for the Members Plant Growing Competition for the Autumn Flower Show were on sale. A pretty semi-double bush variety called Paula Jane sold out on the day. 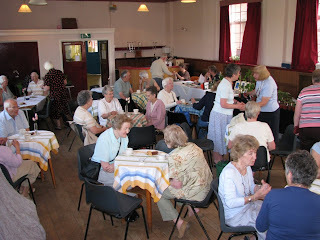 Members enjoyed a wonderful evening at the last of this year's spring talks. 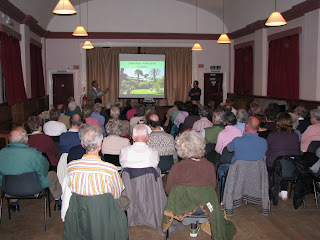 The speaker was the Curator of Abbotsbury Sub Tropical gardens in Dorset, Stephen Griffith. Stephen began by giving a breakdown of his horticultural training and work experience before taking up his present post in 1990 at Abbotsbury. 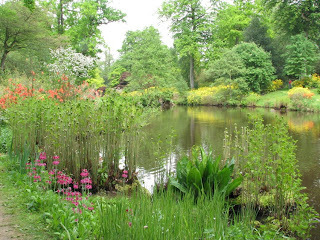 His main responsibility has been to the upgrade and restoration of the garden, particularly after storm damage to trees and large areas of the garden. With a grant from MAFF in 1992 he has been able to continue felling trees aged between 90 and 100 years old and considered a danger to the public. He explained the history of the garden, once the walled garden belonging to Lady Ilchester, whose house was built on the cliff a short distance away. With the aid for digital slides, Stephen was able to show the progress made so far, explaining how he had tried to make the garden look more exotic. Restoration of the ponds had now been completed, as had the planting of 15 species of palm trees and other sub tropical/Mediterranean plants that can stand the English winter. Colourful scenes of echiums from Madeira and the Canary Islands, exotic dahlias from Mexico, plants from India, Australia and New Zealand, bananas, cannas and croscosmias all growing in the Victorian garden were to be enjoyed. New vistas have been created with views down to the shoreline. In accordance with the area's prehistoric history, plants to mimic a Jurassic swamp have been added. He said that other parts of the attraction had also be improved and finished by showing what is now the biggest avenue of magnolias in Europe, as well as photos of a number of eminent royal and political visitors to Abbotsbury, ending a professional presentation given by a dedicated, enthusiastic and experienced horticulturalist. 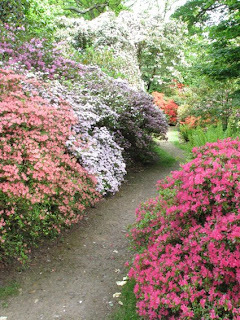 The Club is visiting the gardens in July to experience the gardens in real life.